Three-dimensional surfaces of white body wall tiles from 3D Wall Design collection combine refined sculptural impact rich in theatrical shadow effects, with the benefits of the exceptional value of white-body wall tiles. An extraordinary range of raised patterns breathes life into walls decorated with elegant geometrical and textured patterns, to create spectacular interior architecture in commercial and living areas. 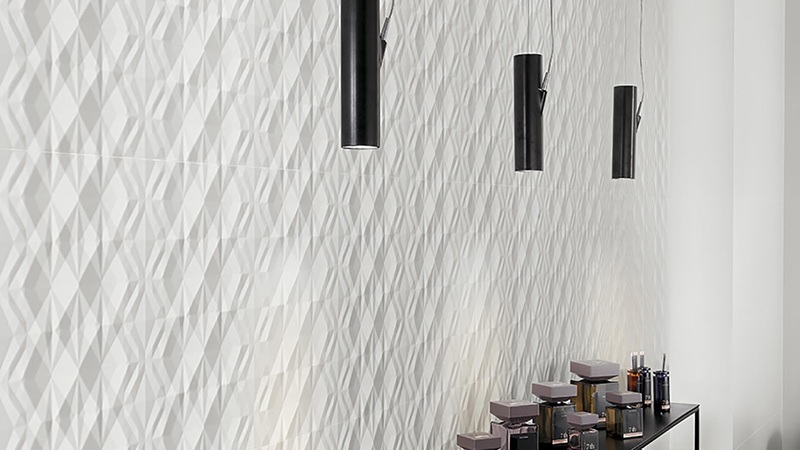 Alluring design reliefs: Spectacular three-dimensional cladding creates walls with an appealing and dynamic look, thanks to the light and shadow effects marked by reliefs on the surface. 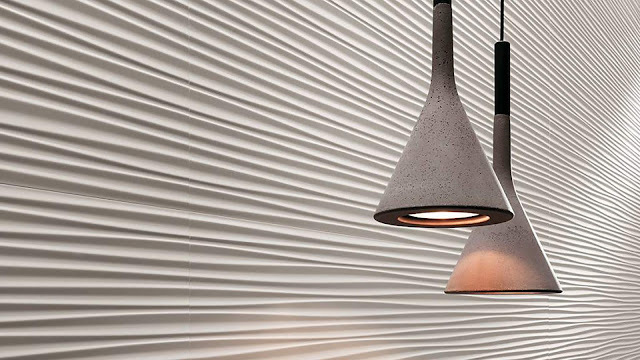 Abstract and sinuous motifs are enlivened and enhanced by lighting specifically created for the project. 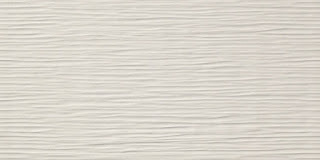 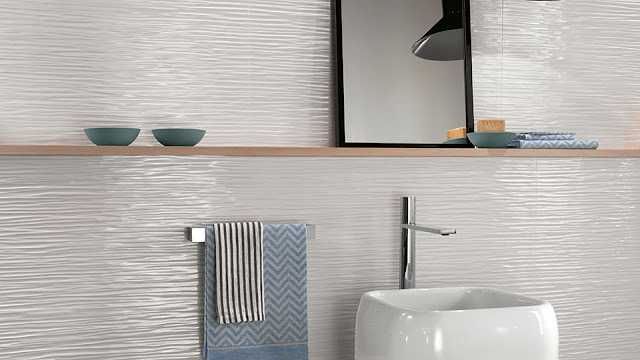 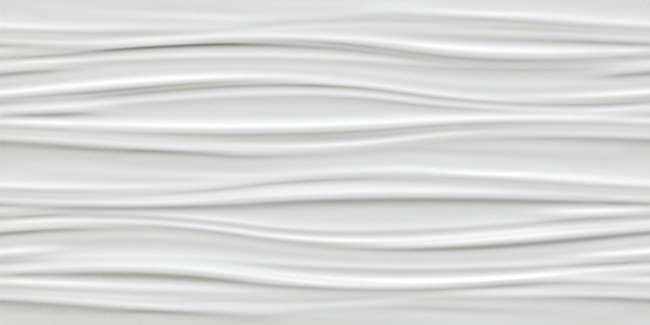 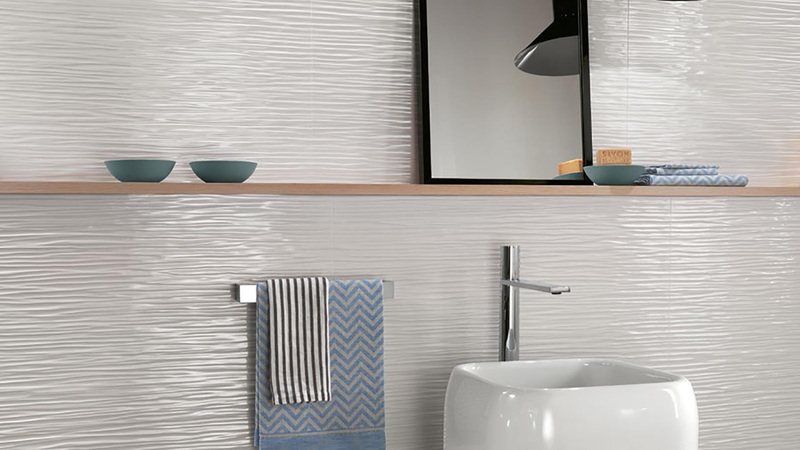 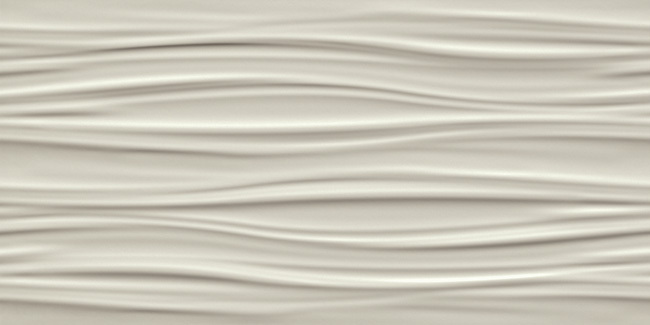 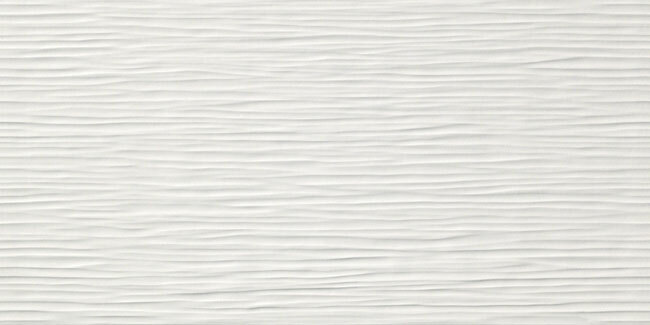 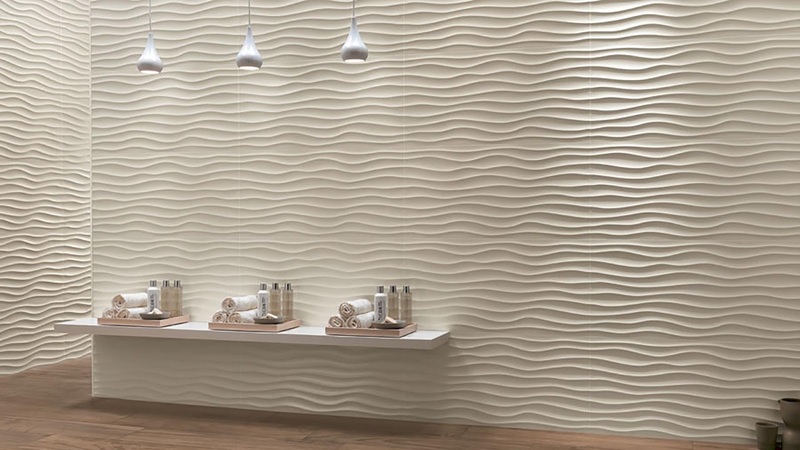 Three-dimensional ceramic surfaces: Decorative and vibrant, the three-dimensional ceramic walls have a satin finish with a soft and silky touch. 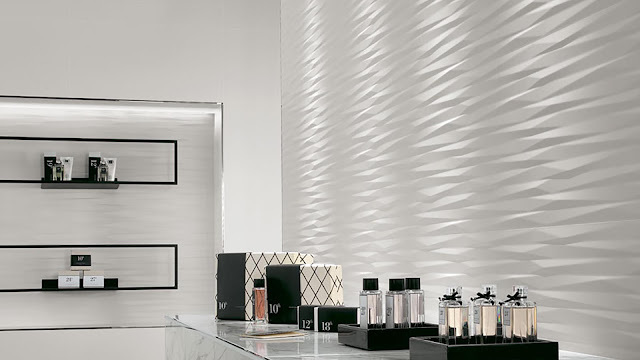 A refined, extremely glossy and velvety glaze exalts the motif in relief thanks to the striking effect that animates the surface, enlivened by light. 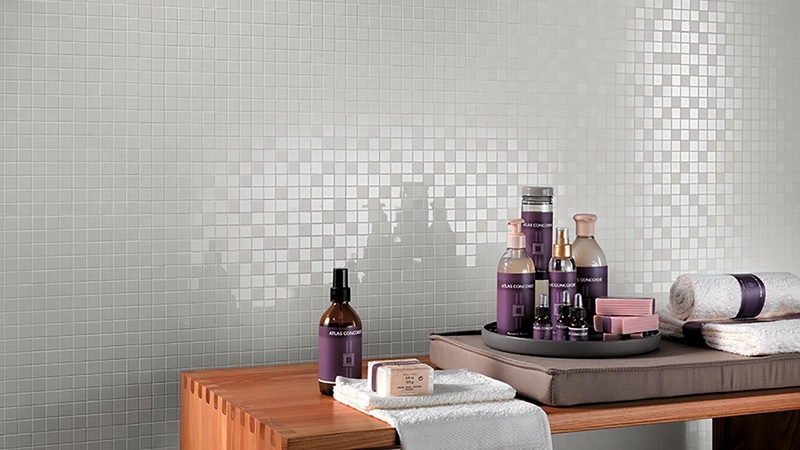 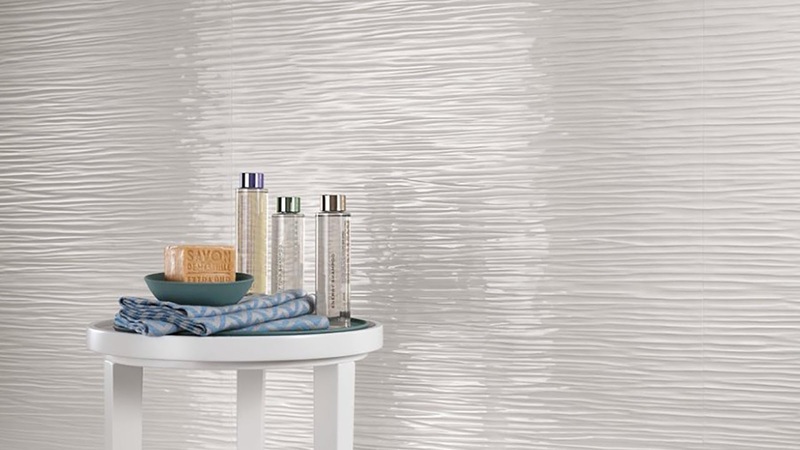 In the bright glossy finish, the shine of the glaze creates mirror-like effects. 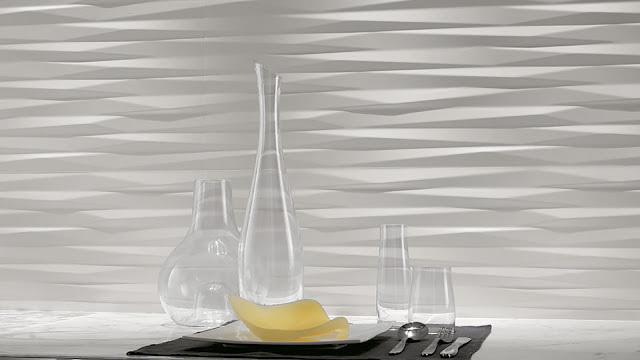 Vibrant sculptural effects: Geometric designs, sinuous forms, multi-faceted patterns and elegant undulations. 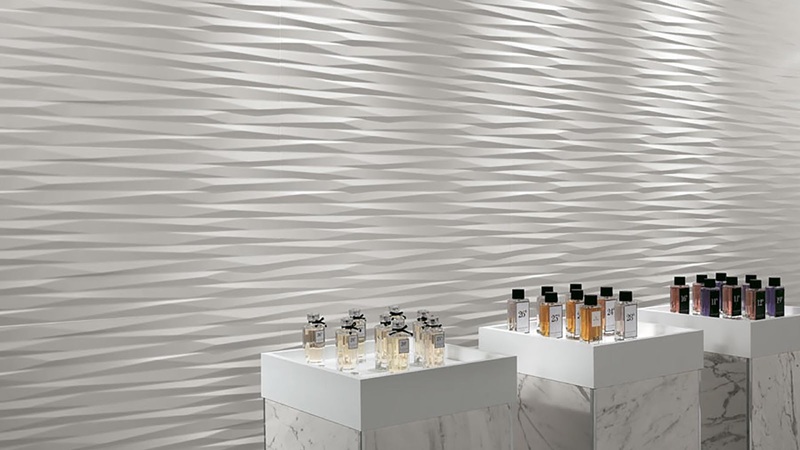 Innovative three-dimensional effects decorate elegant and expertly-studied surfaces, creating spectacularly artistic walls. Subtle rippling, delicate lines and simple lattices design striking visual effects that vary with changes to the lighting. 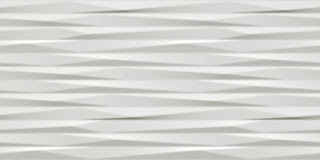 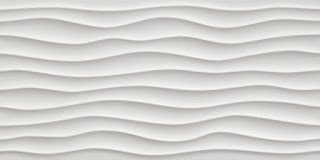 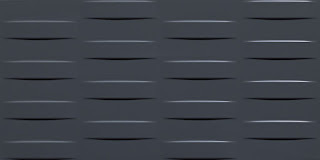 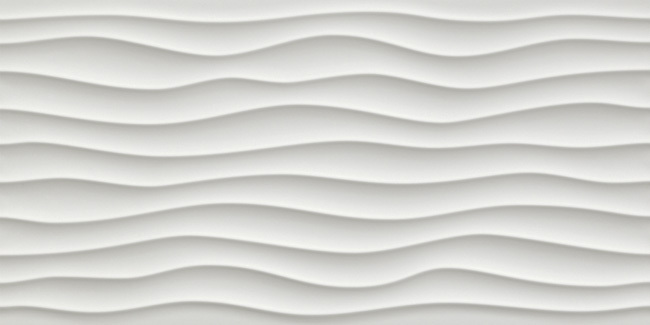 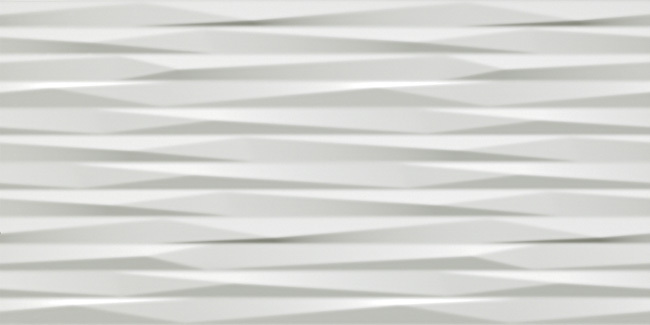 3D Plot - Flowing streamline surface: A simple geometric rippling pattern that fashions a dynamic three-dimensional wall pattern inspired by the rhythms of nature. 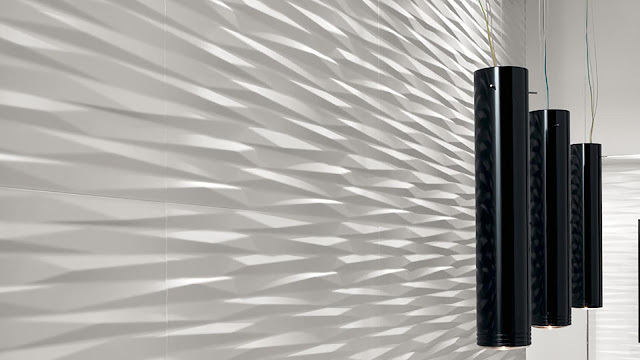 Surprisingly elegant and simple flowing lines that create a fluid pattern on the wall, in a three-dimensional effect that changes with view and intensity of light. 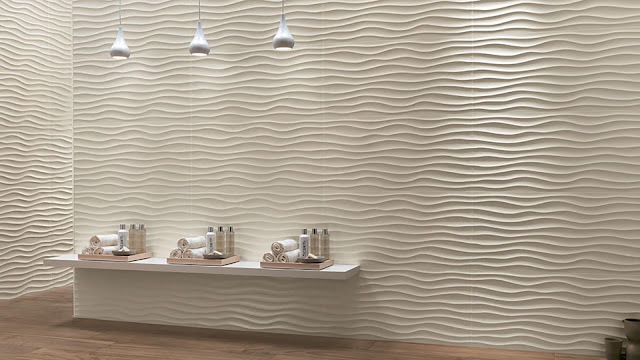 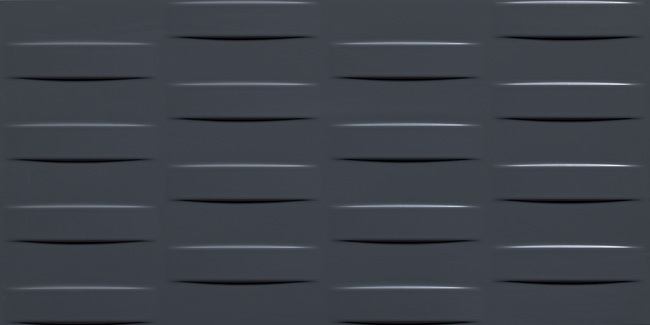 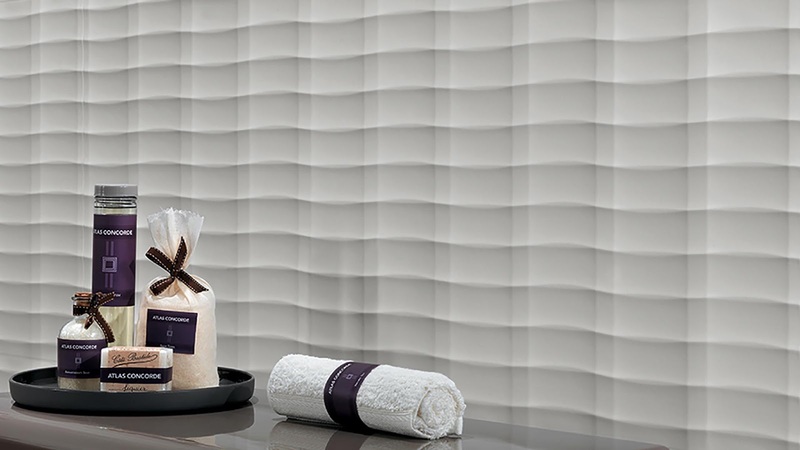 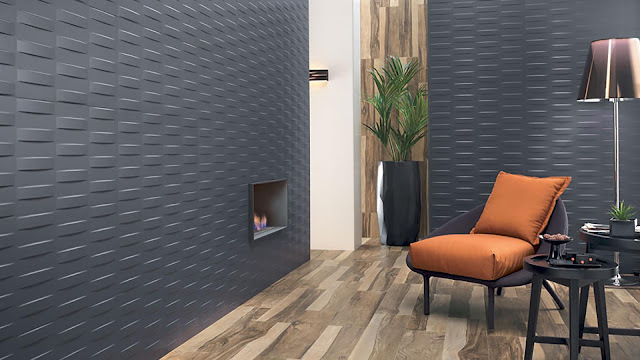 3D Mesh - Sinuously delicate texture: A modern pattern of diagonal ripples creating an elegant and sophisticated raised texture in an exquisite three-dimensional wall tile. Three-dimensional shapes skim the ceramic surface in a stunning effect that changes with the play of light and perspective. 3D Kite - Surprising geometric effects: Rhomboid elements with curving edges for a striking display of airborne kites, where walls become a three-dimensional pattern of sophistication.  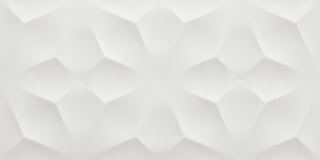 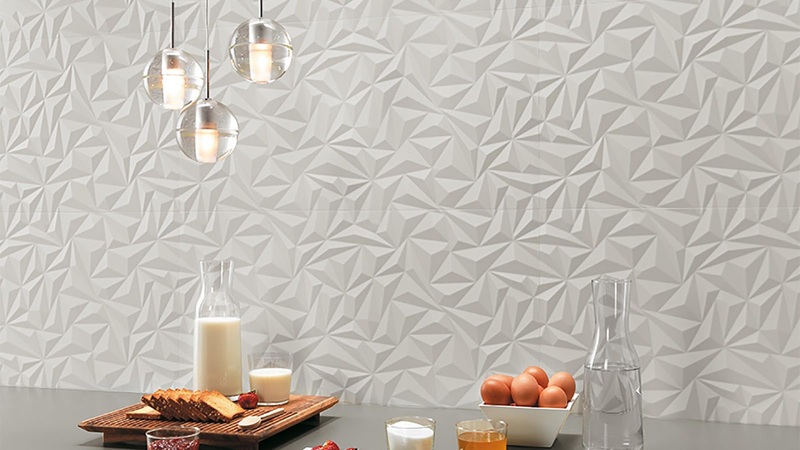 Multi-faceted geometric patterns creating an elegantly sculptured surface in a vivid display of light and shadows. 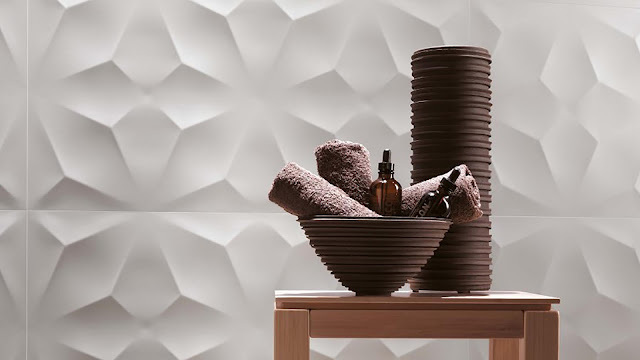 3D Angle - Dynamically sculptured design: Three-dimensional ceramic surfaces enlivened by a pattern of pyramids where tiles become an interplay of light and darkness. 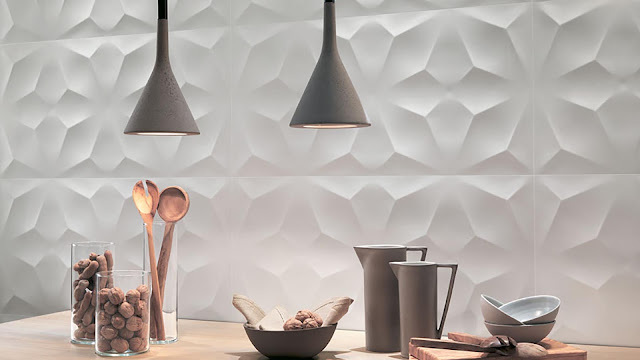 The skillful use of lighting casts patterns across the ceramic surface, in all the shades of white. 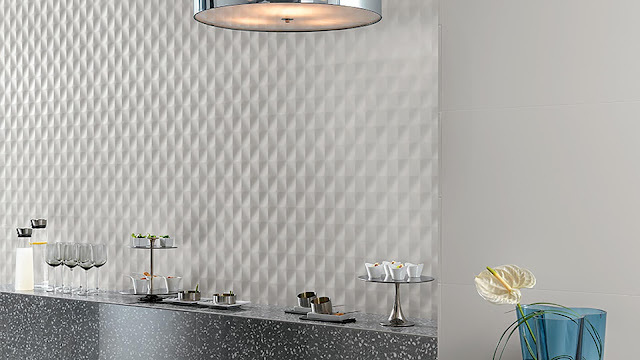 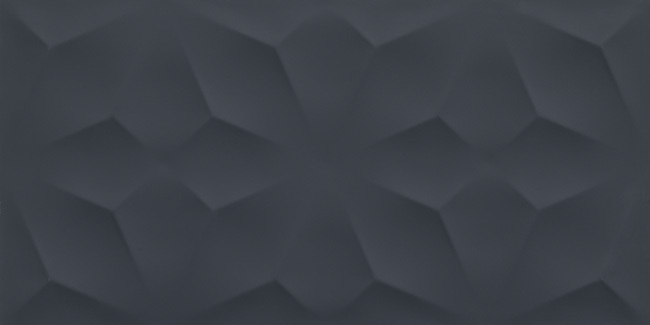 3D Ultra Blade - Extraordinary faceted surfaces: Sharp lines with tapering traits possess marked facets rich in an intriguing distribution of light and shade on the surface of the three-dimensional tile. 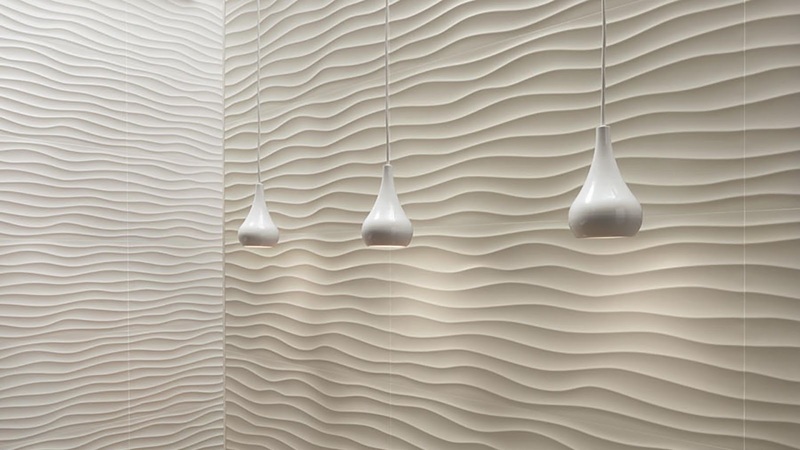 Sculptured ceramic walls are shaped by spectacular plays of light and shade which are traced by skillful lighting placement that accentuates the perceived depth of the relief. 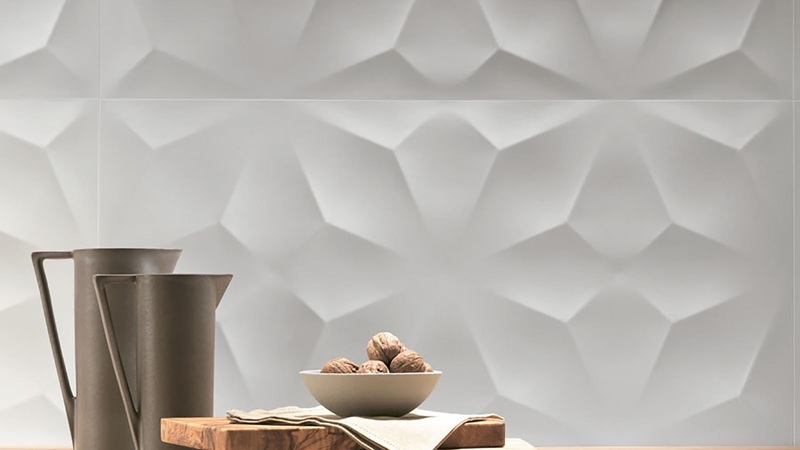 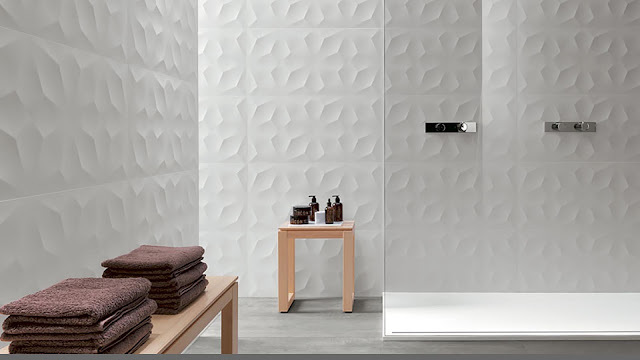 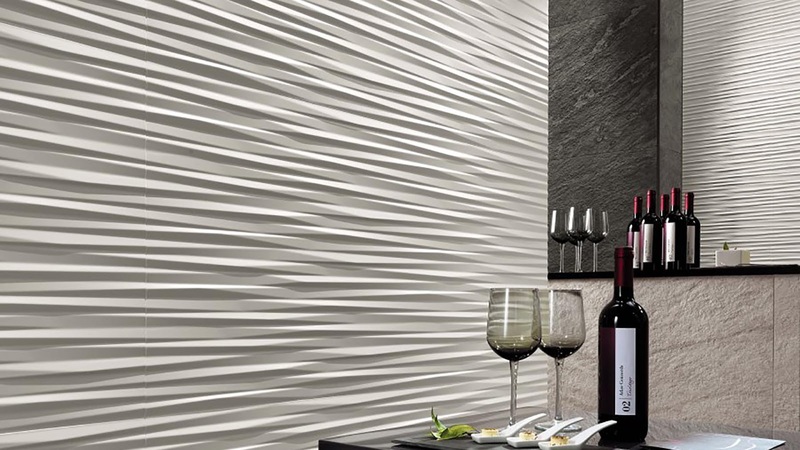 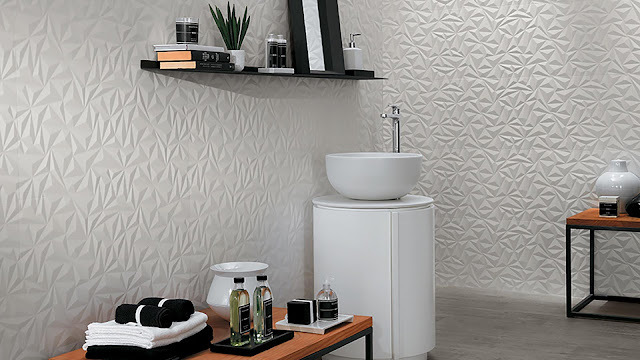 3D Blade - Spectacular design walls: Marked lines with delicate traits trace faceted motifs in relief and create a three-dimensional ceramic surface rich in varied light and shadow effects. Walls of tremendous aesthetic impact are characterized by spectacular contrasts of light and shadow sculpted by an elegant lighting that exalts or softens the surface depth. 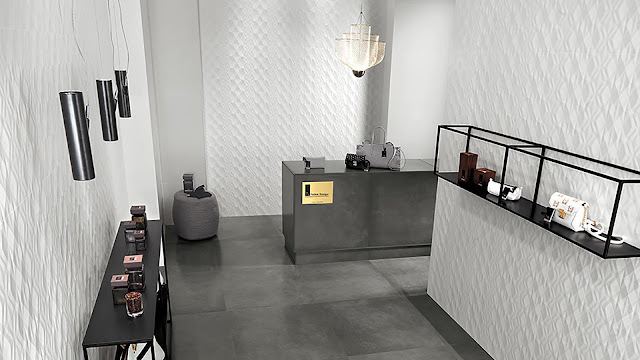 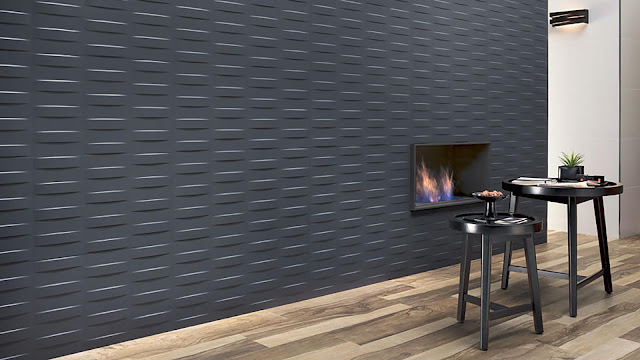 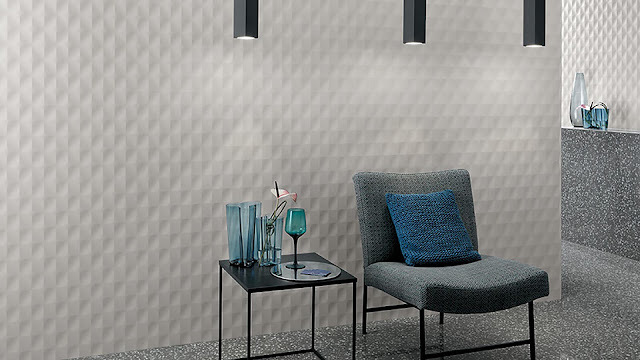 3D Line - Modern design texture: Essential and refined three-dimensional ceramic wall tiles with perfect balance is the meeting point of clean geometric lines and the softness of the relief. Entire, large walls are delicately shaped by a smooth texture and perfect for surfaces enriched by a seductive play of shadow and light. 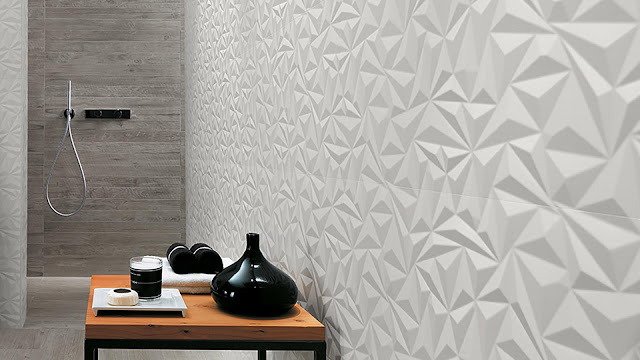 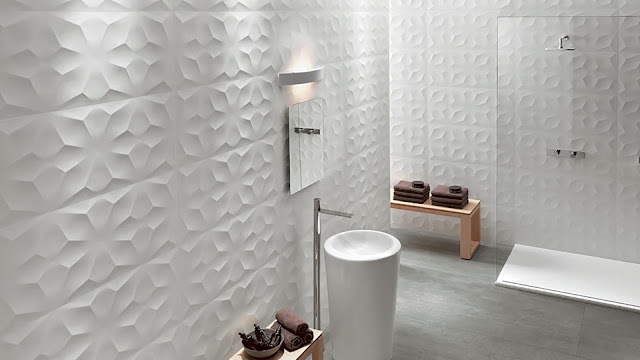 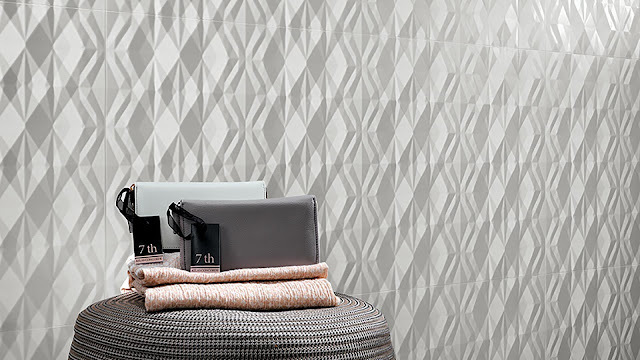 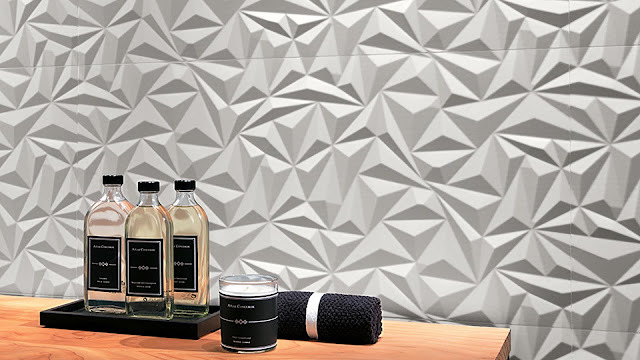 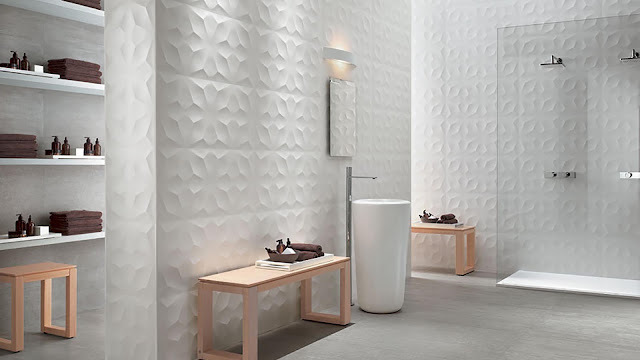 3D Diamond - Geometrical design relief: Polyhedral geometrical patterns in relief run on the surface sculpted by light, exalting the three-dimensional effect of the ceramic walls thanks to plastic and dynamic light and shadow effects. Minimal and contemporary walls are styled by refined design textures for three-dimensional walls able to add the surface with a touch of harmony and liveliness. 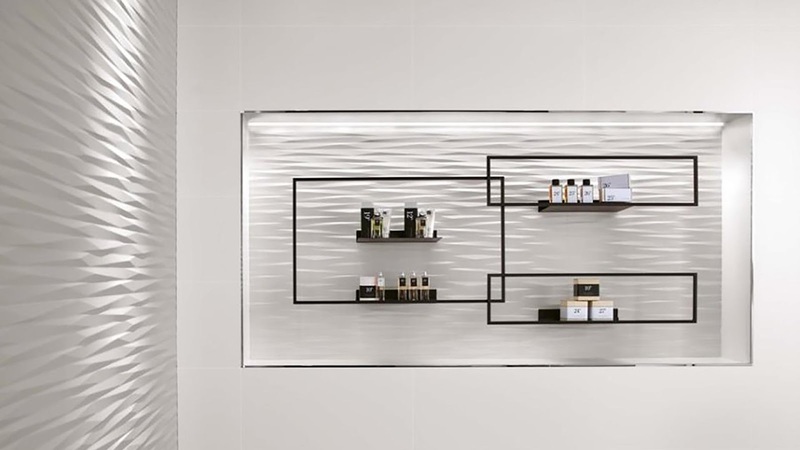 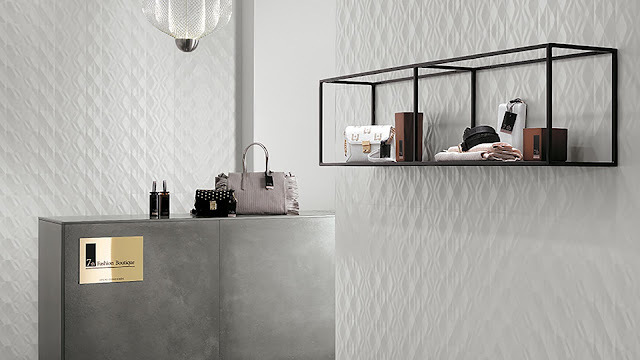 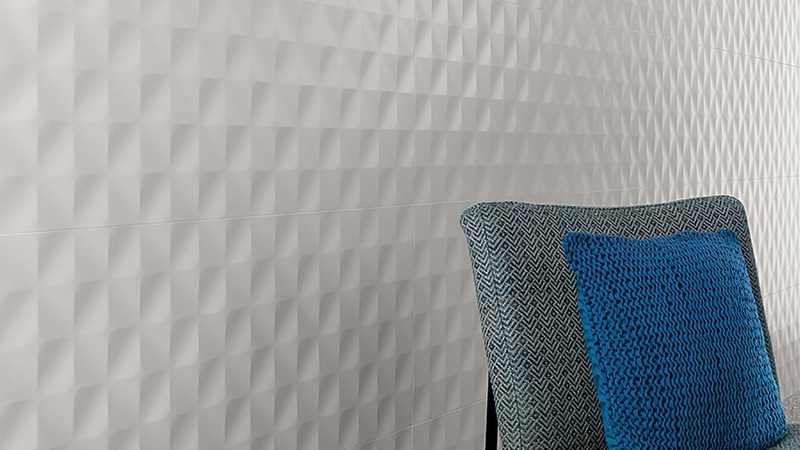 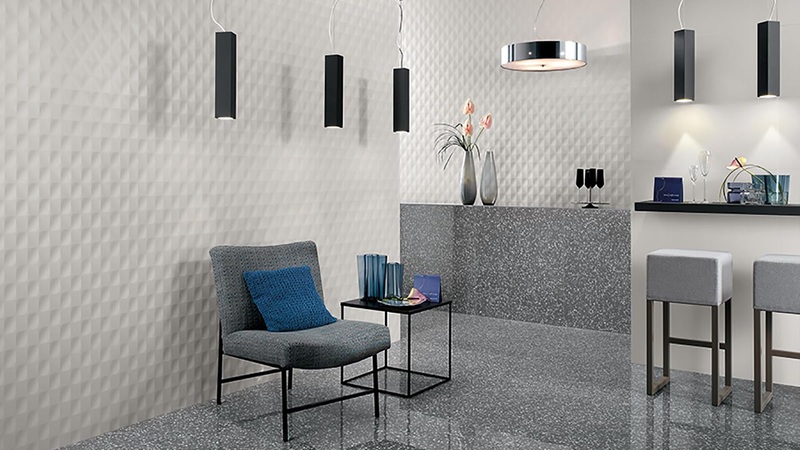 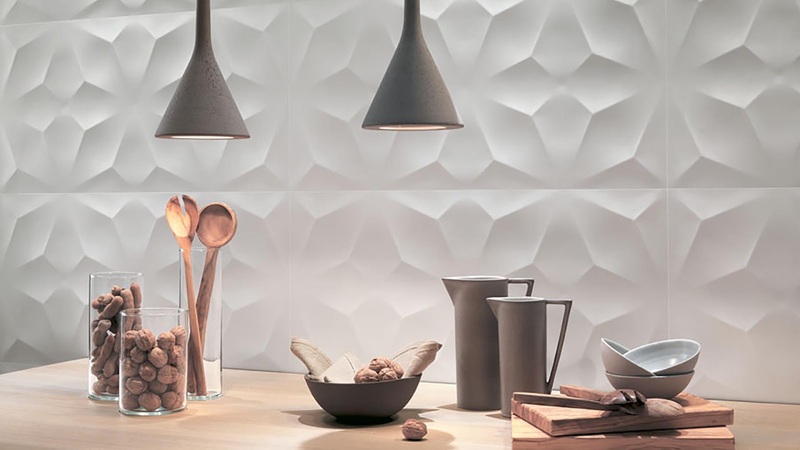 3D Grid - Appealing geometries on the walls: Neat lines and geometrical motifs marked by light effects create a three-dimensional ceramic surface for an appealing and modern interior decoration. 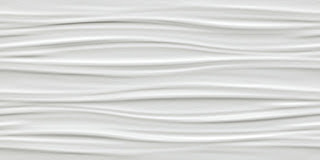 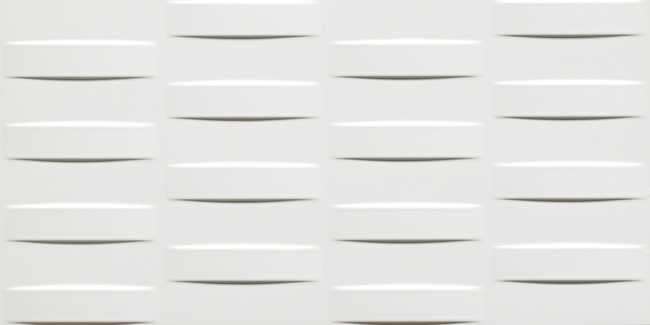 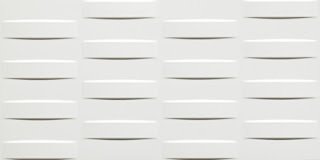 The marked sculpture effect of ceramic walls gives the space a strong and dynamic character for pure design projects. 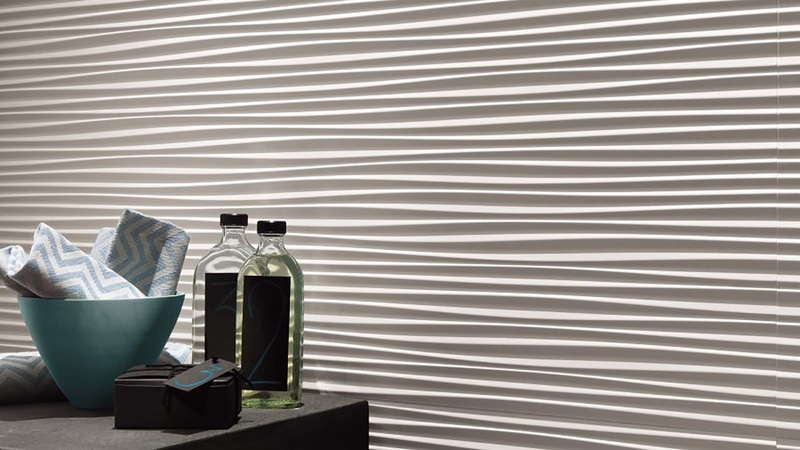 3D Flows - Vibrant natural allures: Dramatic undulations with a decisive profile define the wall with clear traits provided by light and shadows, for dynamic features walls. 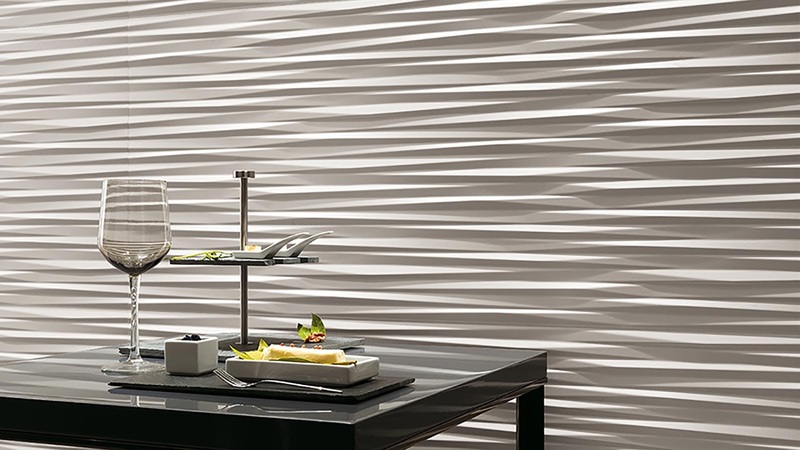 Decorative and elegant, refined reliefs emerge from the surface, adorning the walls with a touch of originality and creativity. 3D Dune - Natural allures on the walls: Sinuous waves in relief recall sand dunes sculpted by the wind and give the walls a natural and alluring dynamism to the walls exalted by light and shadow effects. Harmonious light and shadow effects exalted by an appealing lighting create amazing sculpture walls. 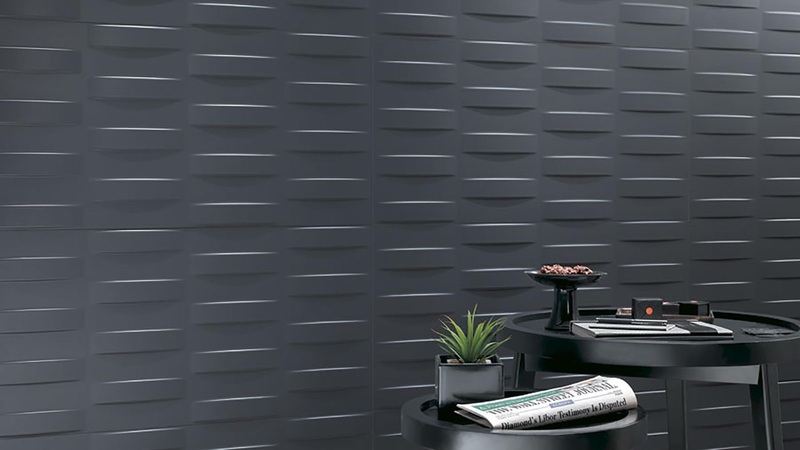 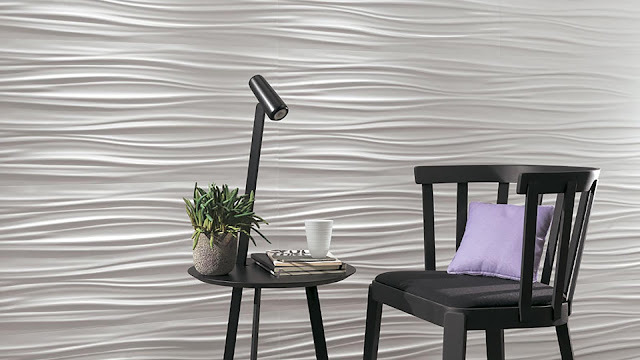 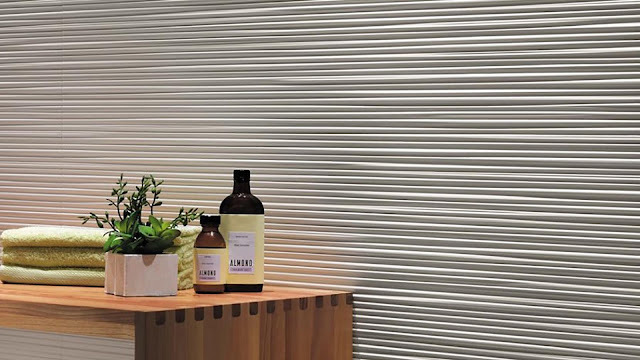 3D Wave - Dynamic creativity on the walls: Vibrant and slim waves characterize the three-dimensional ceramic surface inspired by a pleated fabric with a fresh and dynamic character. 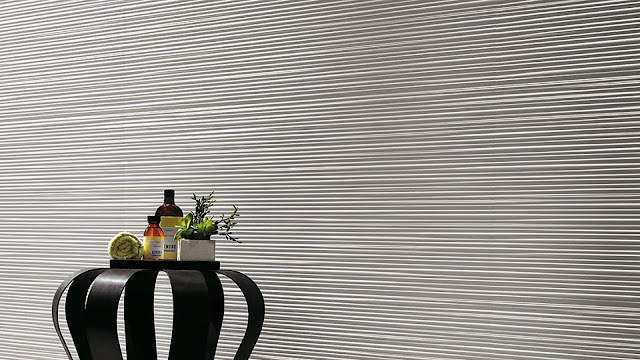 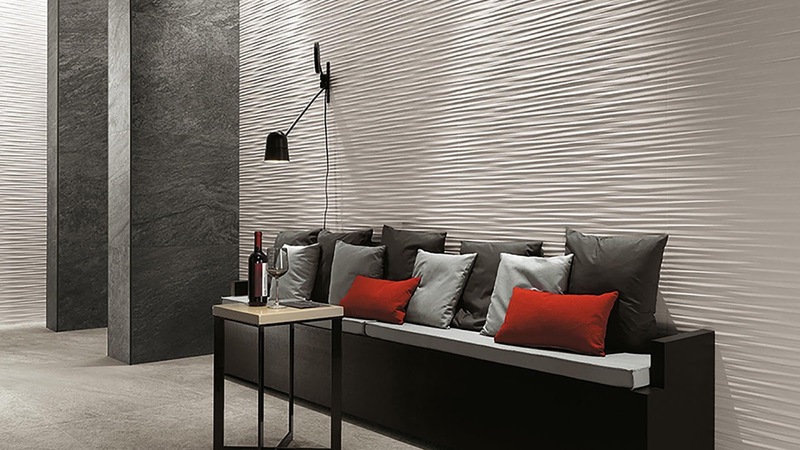 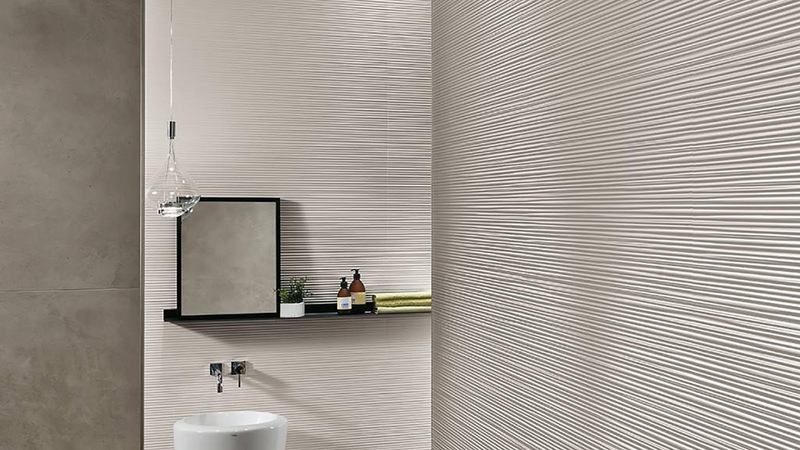 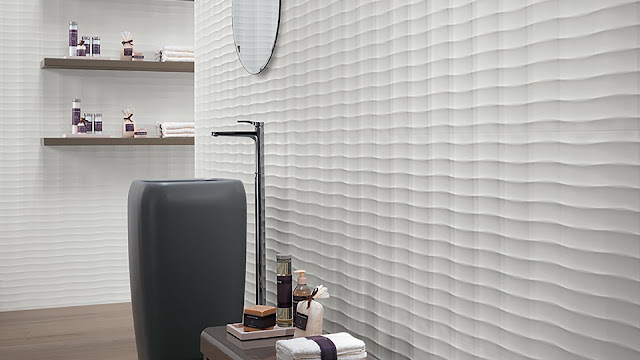 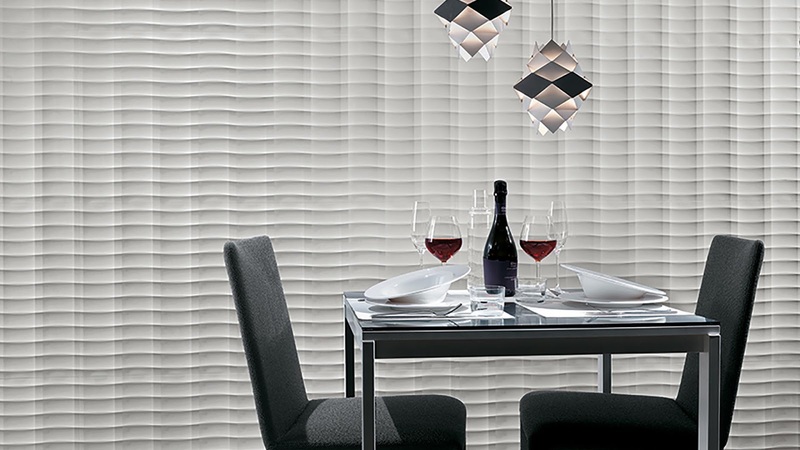 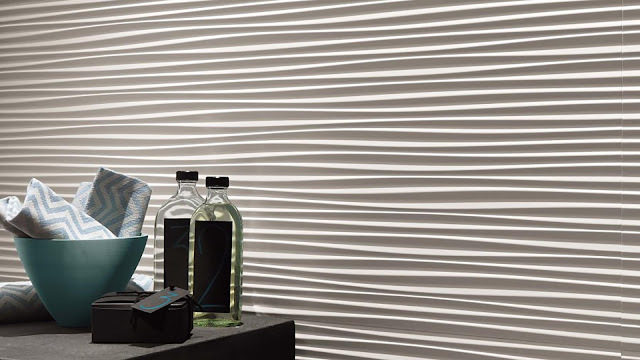 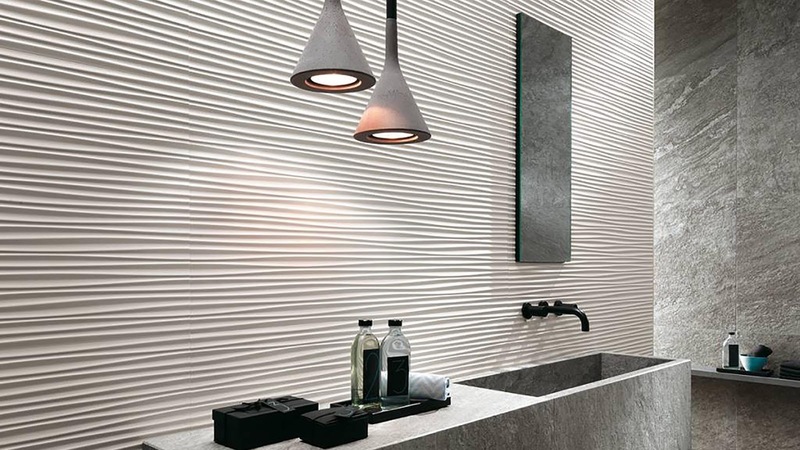 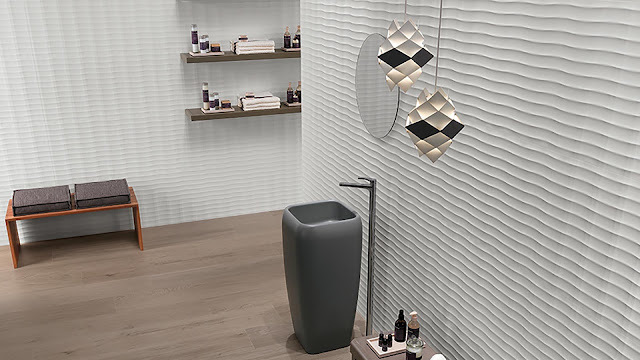 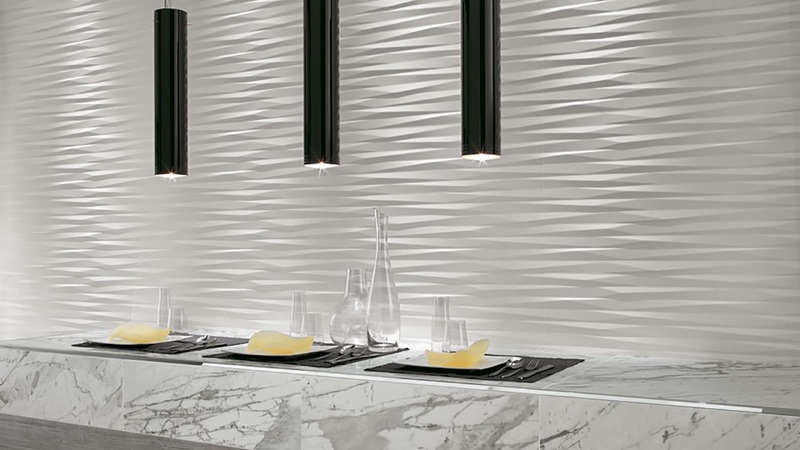 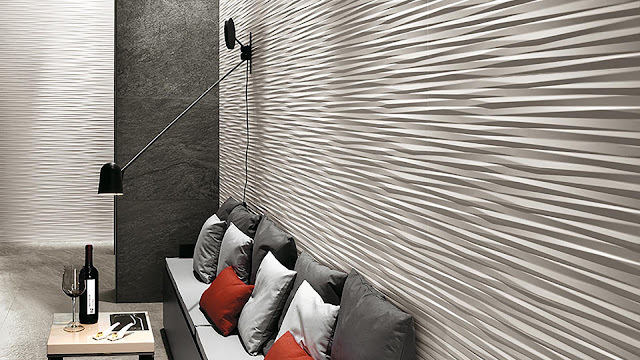 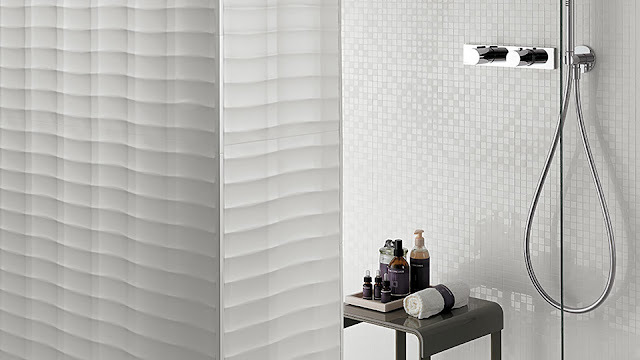 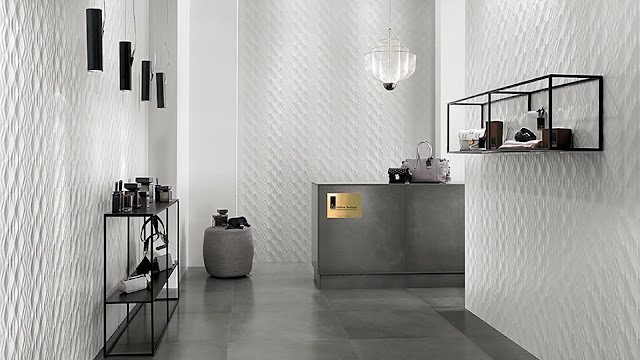 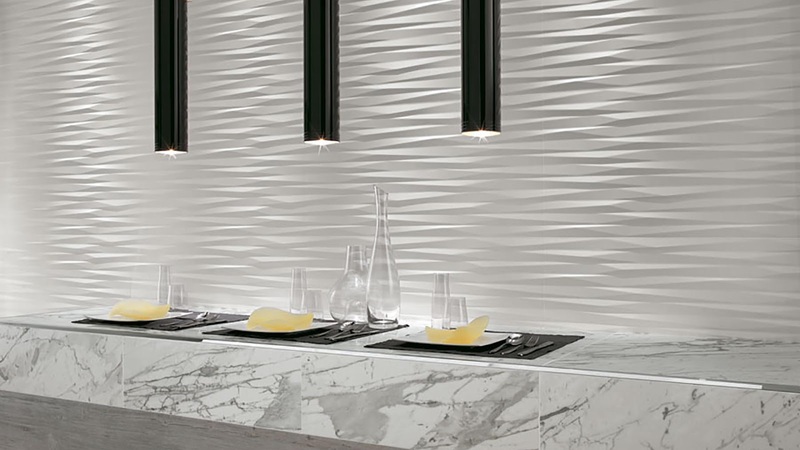 Thanks to light effects, the refined and slim waves of the ceramic tiles create a never-ending pleating motif for dynamic and cutting edge walls. 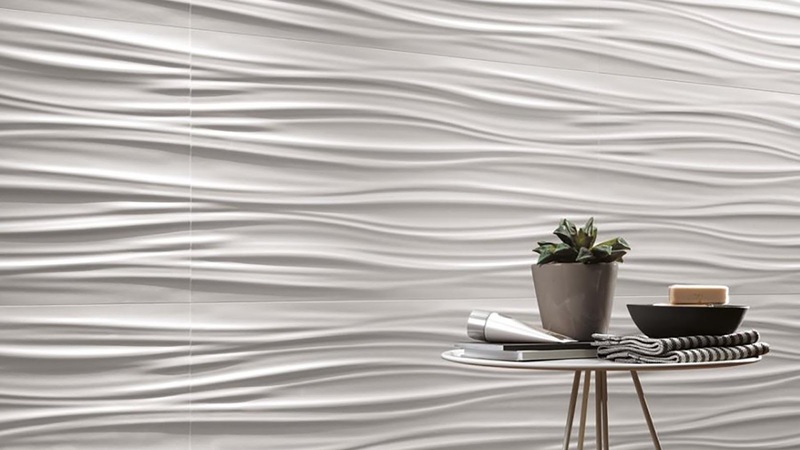 3D Ribbon - Soft and sinuous waves: Intense and dense three-dimensional waves evoke soft drapery, light and luminous, animated by light and shadow effects that exalt the relief. 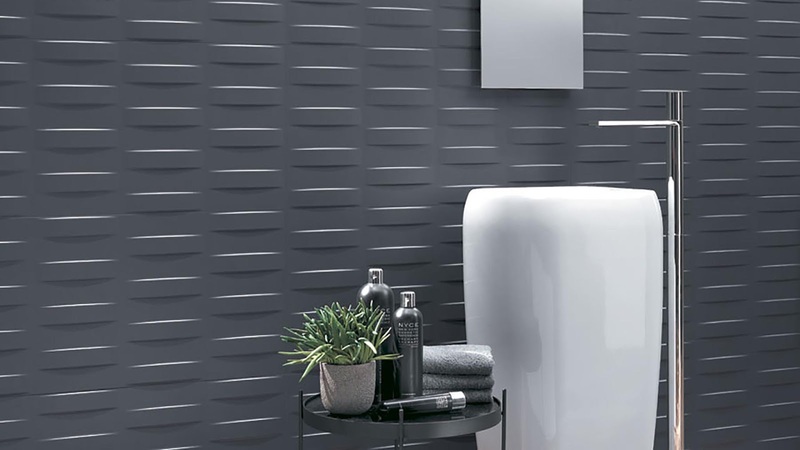 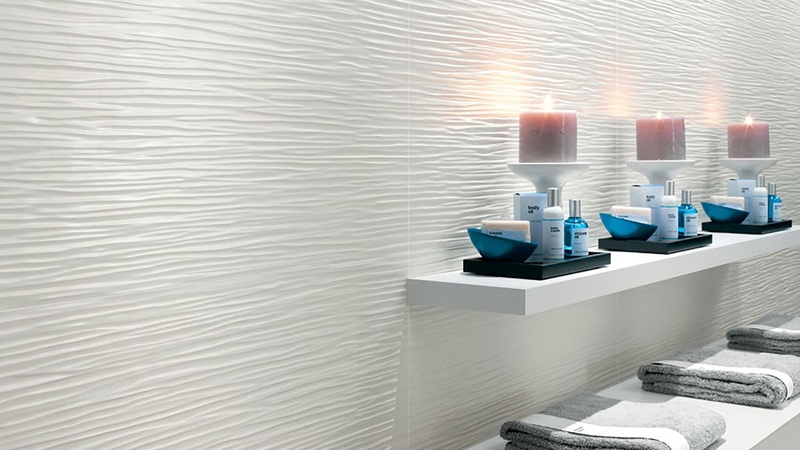 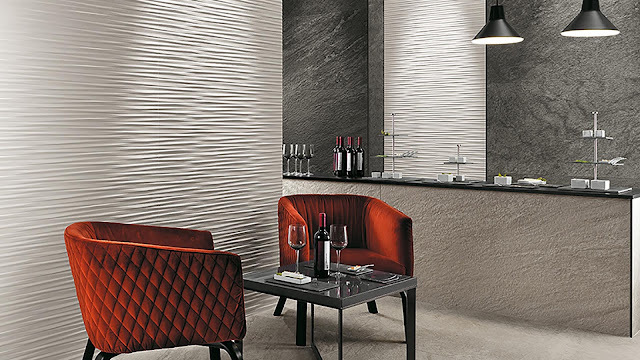 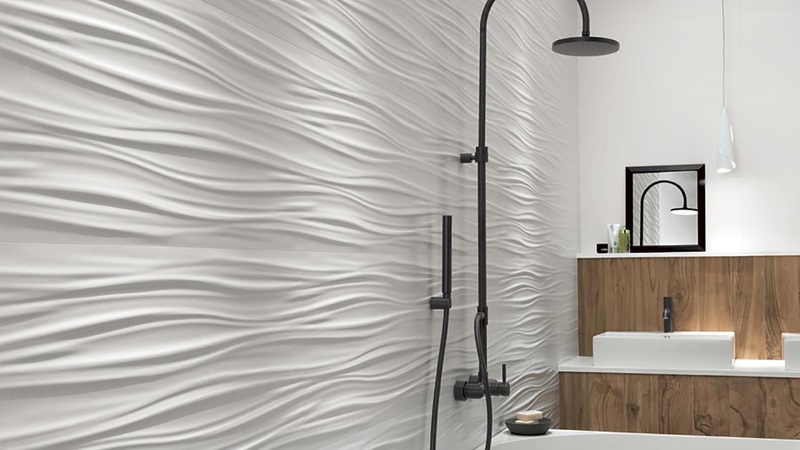 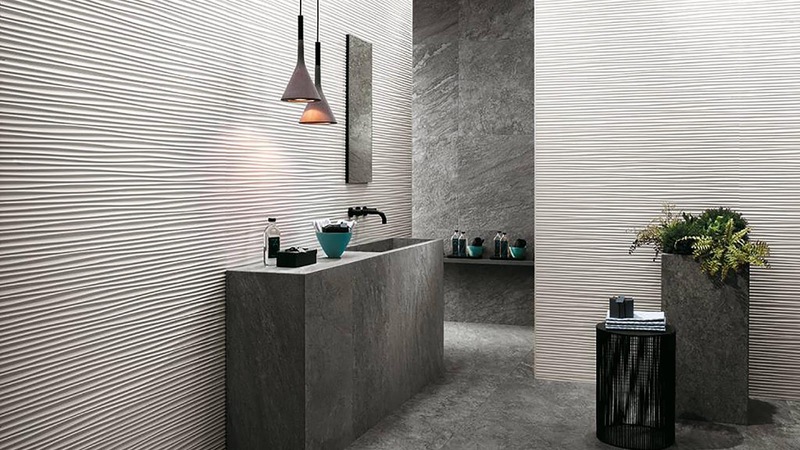 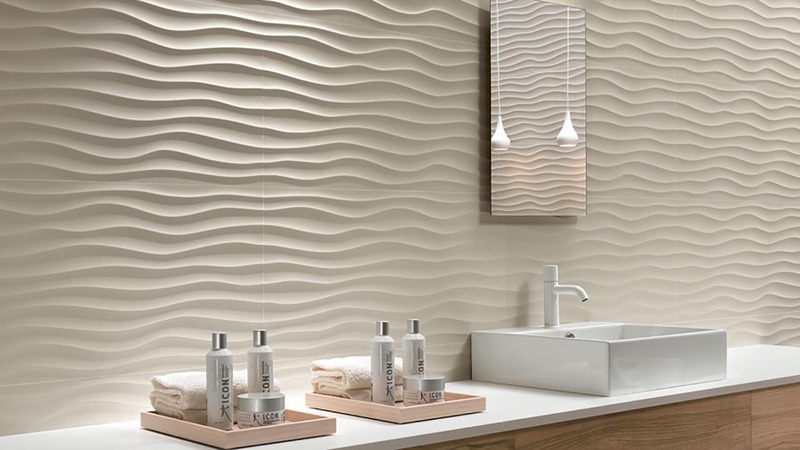 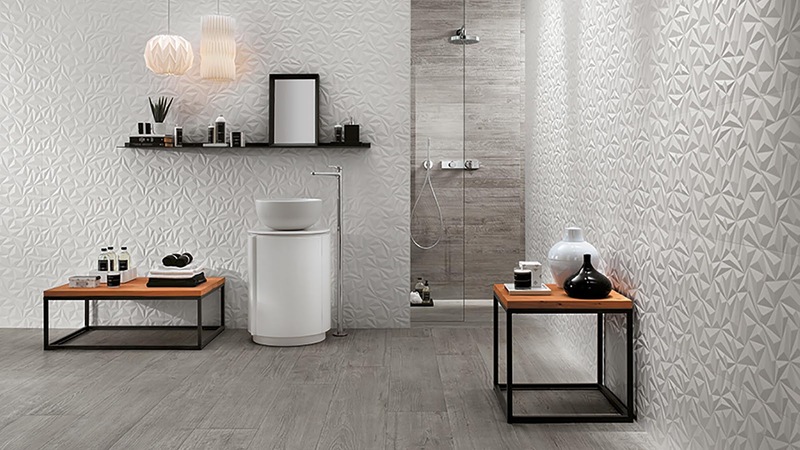 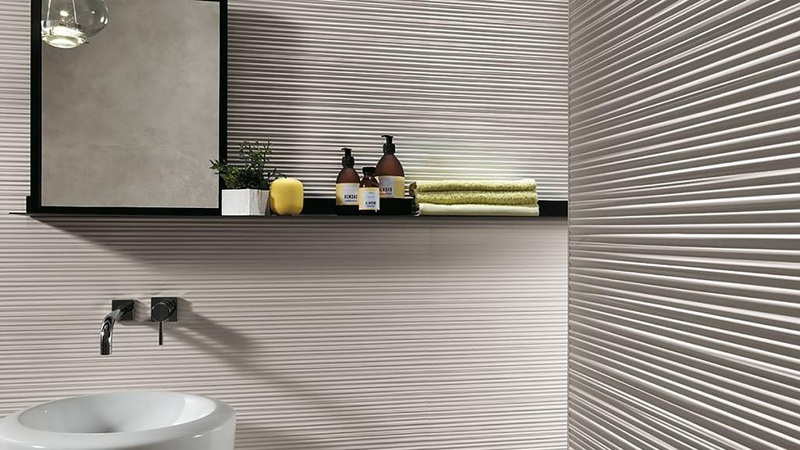 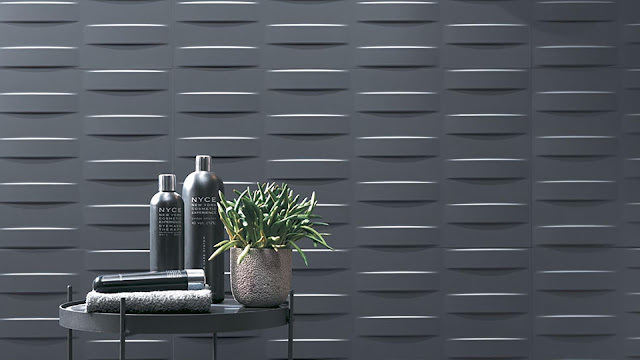 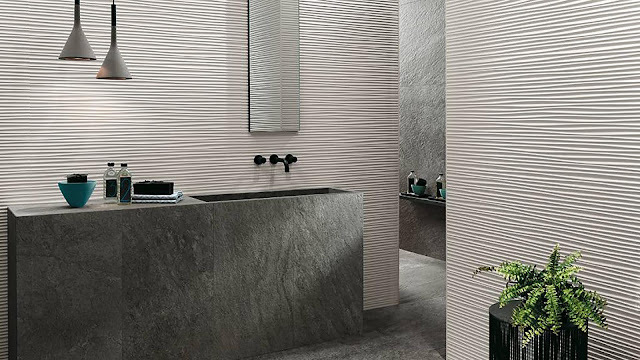 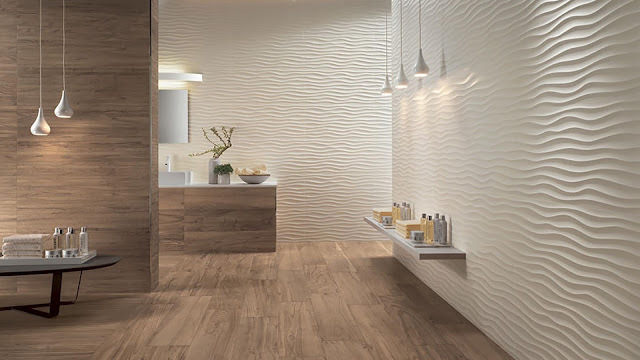 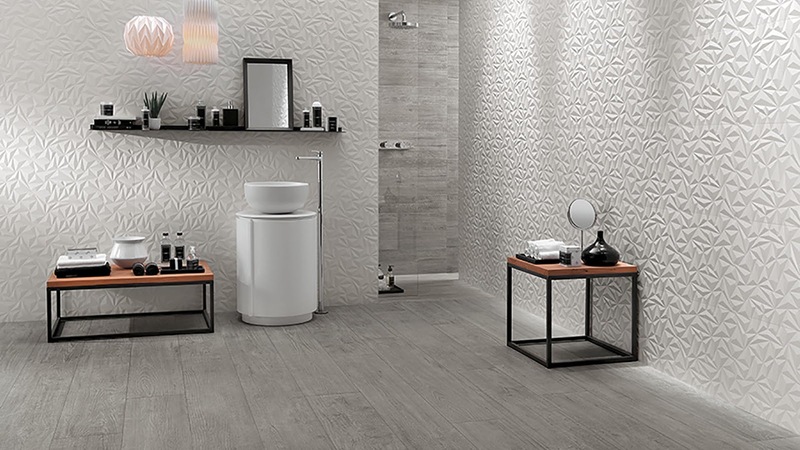 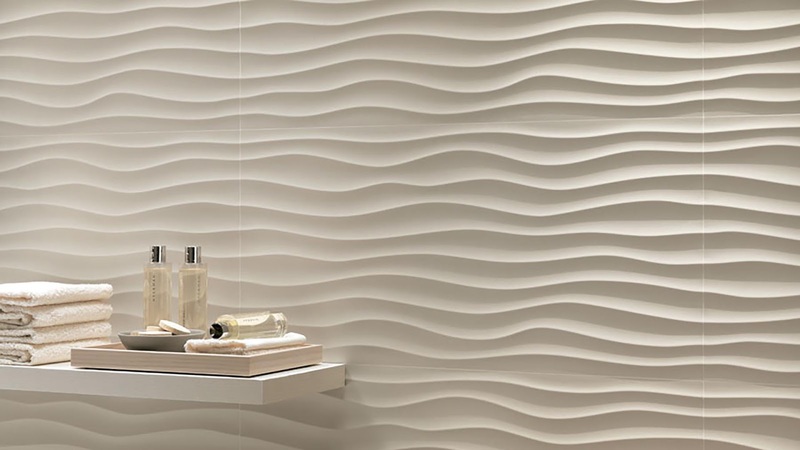 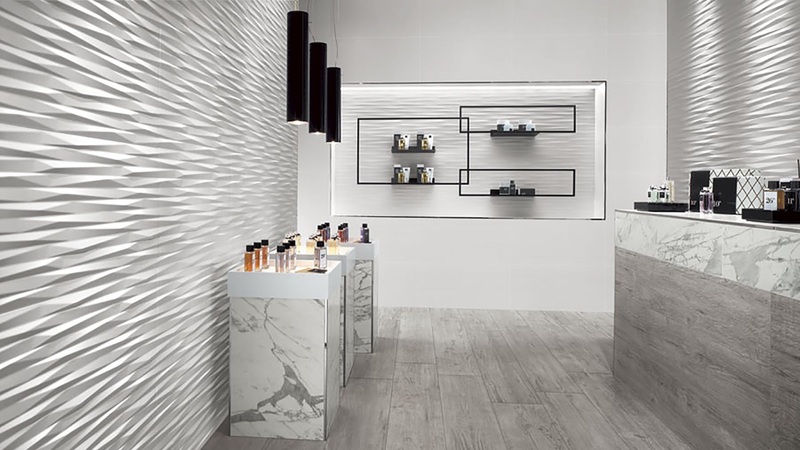 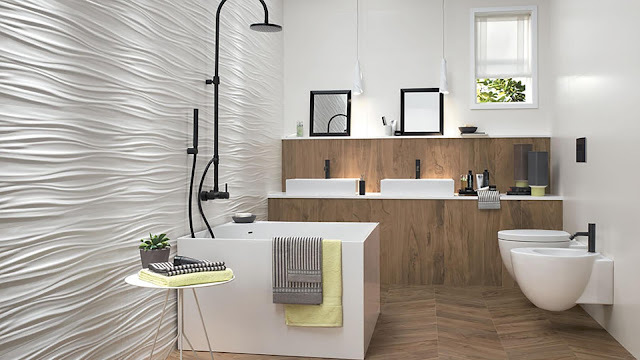 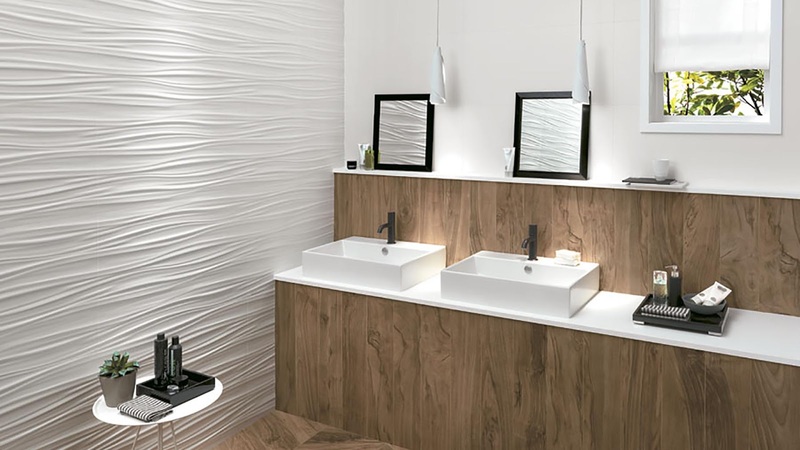 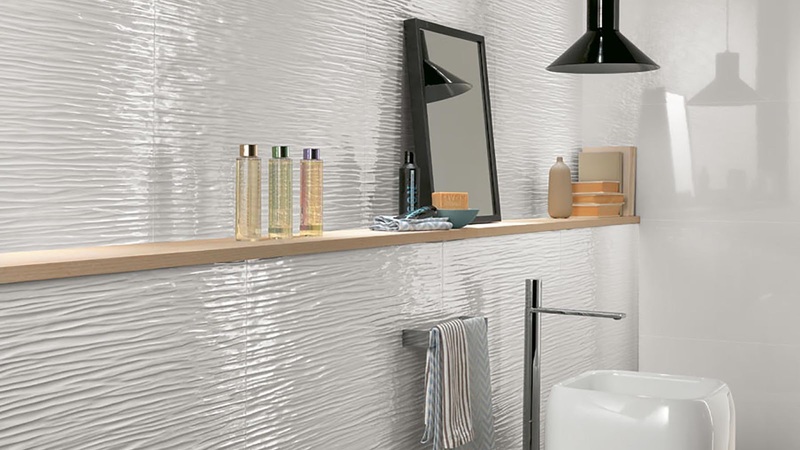 The three-dimensional ceramic tiles inspired by soft and intense waves create spectacular walls with a sinuous trend that give a touch of originality and dynamism to spaces with sought-after style.